Probably no one from us present there will ever easily forget the evening of the August 13th, 1996 in the centre of Adriatic Pesaro, the atmosphere of the cosy and shabby stadium adjusted for an opera festival the Palafestival (today a new sports hall together with historical buildings of the theatre and conservatory serves this purpose). A new tenor star has risen on the wings of the 17th reputable Rossini Opera Festival, specialized in reviving the music of its native Gioachino Rossini. At the premiere of the then dozing opera Matilde di Shabran, the very last one composed in the semiseria genre, stepping in for ill Bruce Ford, an unknown 23-year-old black hair young man shone. Originally, he was supposed to appear in the minor role of another opera. He was the native of Peruvian Lima – Juan Diego Flórez. The whole opera world started talking about this name overnight. With the highest probability in the history of opera you will not find another tenor singer whose repertoire has covered eighteen main roles composed by Rossini. Ten of them – in operas Matilde di Shabran, Il signor Bruschino, La Cenerentola, Il viaggio a Reims, La donna del lago, Le comte Ory, Il barbiere di Siviglia, Otello, Zelmira, Guillaume Tell – he performed exactly in the mono-thematic festival in Pesaro. He will remind himself twenty years from his debut this summer during the concert and moreover, the stellar tenor singer will appear in the new production of The Lady of the Lake as Giacomo V – Uberto. During the two decades of his professional career Juan Diego Flórez has managed to establish himself on the absolute top of the tenor singers ladder honouring vocal aesthetics and the technique of bel canto without any performance shakeout. The technique of bel canto has led him unmistakably to the most exposed Italian and French repertoire. 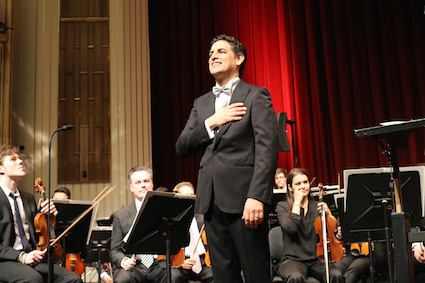 During the today’s concert (already second one in Bratislava) Juan Diego Flórez has ambitions to prove that his voice with unique sincere, sunny colour and mostly unwavering technique and tones as well as dreaded high Cs, he feels at home also in other, non-operatic areas. The artist has dramaturgically conceived the first half of the evening as combination of works of Wolfgang Amadeus Mozart, French composers Charles Gounod and Jules Massenet. 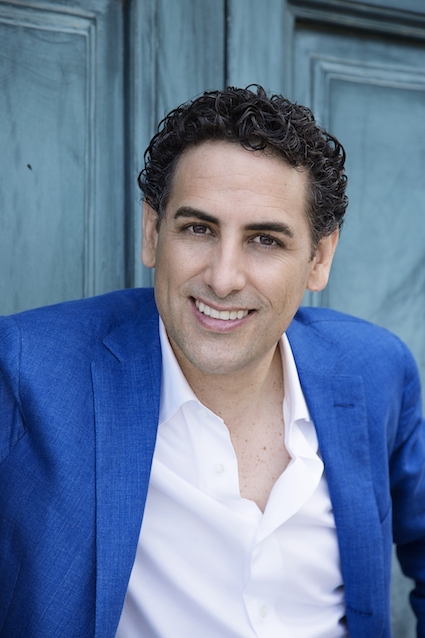 Mozart in the interpretation of Juan Diego Flórez will be a small surprise (we cannot find him in his common repertoire), but at the same time it is the confirmation of the unarguable fact proving the versatility of the school of bel canto. It is not only compatible with Mozart’s parts but also enriches them. After all, Mozart and Rossini were not so much apart as it could seem. Age-wise, they just missed each other (Gioachino was born nearly three months after Amadeus’ death), but both of them started composing at the juvenile age (surely Mozart more intensively, so this parameter is out of comparison) and as far as demands on singers, culture of phrasing or virtuosity and coloratura qualification of vocal parts are concerned, they are close to each other. Whereas Mozart technically „squeezed“ mostly sopranos and did not spare bass singers (he was hopefully more considerate with tenor singers), Rossini enjoyed exploring the boundaries of human voice. It was in all the voice types, maybe with the exception of low male voice where he was considering bass-baritone tessitura. Juan Diego Flórez has chosen three pieces from the creative legacy of Wolfgang Amadeus Mozart (1756-1791) for today’s concert: two operatic and one oratorical. After the overture to the Magic Flute (the premiere took place on September, 30th 1791 in Viennese Theater im Freihaus auf der Wieden – it was more than two months before the composer’s death), which musically anticipates two contrasting lines of the opera (meditative-serious and playful-humorous), there will be a tenor aria of Tamino from the 1st act Dies Bildnis ist bezaubernd schön. Three ladies of the Queen of the Night are saving the lost young prince prosecuted by the serpent in the strange country. They hand him over a portrait of the queen’s daughter Pamina, who is in the captivity of Sarastro’s empire. Her beauty enchants Tamino, his pulse is racing and he feels that he has found love for the first time. Enchanted by love he expresses his desire to have Pamina forever and he wants to belong to her. Whereas Wolfgang Amadeus Mozart composed The Magic Flute to German text of Emanuel Schikaneder, the opera Così fan tutte belongs – together with The Marriage of Figaro and Don Giovanni – to free trilogy, based on the librettos of Lorenz da Ponte. It is the last opera buffa written to Italian text. It was premiered on January 26th, in Vienna in Burgtheater. Witty and frivolous, at the same time delicate plot from the parlour, testing fidelity of girl pair (also of young men) is embroidered by Mozart’s daring music full of feelings. There are numerous arias, duets and ensembles assigned to the sextet of solo singers. Aria of Ferrando Un´aura amorosa from the first act is an emotional expression of belief that the love of his fiancé Dorabella will not be broken by the traps of the investigation organized by don Alfonso. Karl Böhm, one of the greatest conductors of Mozart of all times (his most favourable title was particularly Così fan tutte), pointed out at the sophistication of the musical means depicting the difference between sincere and false feelings. A real feeling shines out of Ferrando’s aria, whereas during the first aria of Dorabella it is clear she would be the first to stumble. There is a detour from the world of opera in the overture and aria Ozia D´ogni colpa la colpa maggiore from the oratory La Betulia liberata. Wolfgang Amadeus Mozart composed this opus at the age of fifteen. During his journey around Italy with his father he made a stop in Padua and at the same time delivered the order for Don Giuseppe Ximenua, the Prince of Arragon. Pietro Metastasio, who wrote the libretto, bases his story on the Bible and depicts the story from the Old Testament, Book of Judith. La Betulia liberata was premiered on April 7, 1786 in Vienna under Mozart’s supervision. The tenor aria from the 1st part D´ogni colpa la copla maggiore captures attention of the audience by masterful cascading coloraturas, great tone range, so that only the most technically matured tenor singers of bel canto are capable of managing them. The ballet music from Faust by Charles Gounod (1818-1893) will lead us into the world of French opera. Dance antique (allegretto) and Variations de Cleopatra (moderato maestoso) are parts of Walpurgi’s Night, an extensive dancing spectacle, incorporated into the 5th act of the opera. Faust’s Aria Salut, demeure chaste et pure from the 3rd act belongs to the favourite concert pieces of Juan Diego Flórez. He has not created the whole part of the main hero of the Gounod’s opera on stage yet (it confirms providence and artistic and intellectual make up of the artist). Gounod’s Faust was firstly performed on March 19th, 1859 in the Parisian Théâtre-lyrique and ten years later triumphed in the revised version at the stage of Opéra de Paris. The third act of Faust takes place in the garden of Marguerite. In the cavatinea, crowned by high C, Faust succumbs to the magic of the place, „pure and chaste dwelling” of his chosen one. In that moment he has decided not to succumb to the plans of Mephistoteles and not to tease virtue of the girl. We will stay on the French ground. Charles Gounod will be exchanged for his 24 years younger fellow countryman and partly a teacher from the Parisian conservatory, Jules Massenet (1842-1912). Out of fourty of his stage masterpieces, majority of which became forgotten, nearly quarter of pieces, however sporadically, were returned to the stage by the wave of the renaissance in the second third of the last century. Only Manon (1884) and Werther, premiered on 16. 2. 1892 in Viennese Hofoper, belong to the fixed stars of the repertoire. Werther inspired by the motif of Goethe combines poetical and elegiac lyrical poetry with passionate explosions of the veristic drama. After all, at the time of its creation Mascagni’s Cavalleria Rusticana already existed and right before its perfoming also the Pagliacci of Ruggero Leoncavallo. Juan Diego Flórez will perform the role of Werther for the first time at the concert in Paris in April this year and in December at the stage of Teatro comunale di Bologna, where it will be his stage debut. The most famous tenor aria Pourquoi ma réveiller is in the 3rd act. After his separation from Charlotte, in the meantime, fulfilling his promise to his dying mother married to Alberto, Werther returns to her house on the Christmas Day. He is reading verses of Ossian and remembers the times they spent together in one room, at the same piano, with the same books. Romeo et Juliette, it is Verona in broader context at the beginning of the 15th century, William Shakespeare and the tragic story of lovers at the background of the antagonized houses. It is work of Charles Gounod which is a romantic drama, full of emotions with four riveting duets of the main couple and a number of showy, vocally demanding arias. This opera was first performed at the stage of Parisian Théâtre-lyrique on 27. 4. 1867. Aria Ah! Léve-toi soleil from the 2nd act is sincerely romantic profession of love in the garden of the Capulets, where hiding Romeo compares Juliette’s beauty to the sunshine. 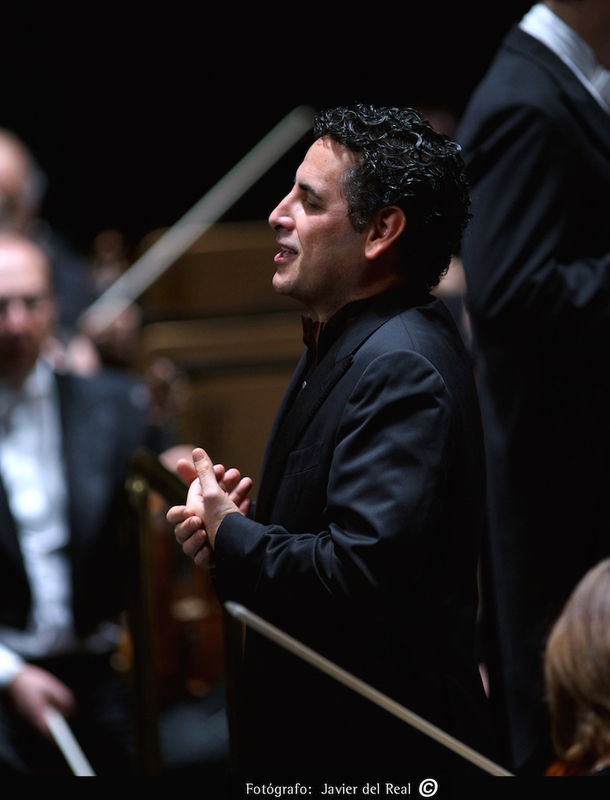 Juan Diego Flórez designed the second part of the concert as the block of samples of the Spanish zarzuelas, Italian songs and at the end, there will be crème de la crème, aria from the work of Gioachino Rossi. Zarzuela is musical and dramatical form with its roots in Spain, combining singing, spoken word and dance. It might be similar to French opéra comique or to operetta as perceived in Vienna or our country. The etymology of the word zarzuela is uncertain but it is mostly connected to the name of the royal hunting lodge Palacio de la Zarzuela, built by the king Philip IV in the 17th century near Madrid. Reportedly there were growing abundant amounts of blackberries there (zarza, in translation blackberry). Zarzuela has its baroque stage (1630-1750), often dealing with mythological topics and broaden by colonized Cuba and the Philippines. And till now there is maintained romantic stage. After the revolutionary year 1868 the performances became simpler so that the operational costs would decrease and they would be more affordable. Even today there is Teatro de la Zarzuela in Madrid with all year operation and many internationally reputable Spanish opera solo singers. Among the major zarzuela authors are between others also Reveriano Soutullo (1880-1932) and Juan Vert (1890-1931). The former one, the native of Galicia, graduated from the conservatory in Madrid and graduated in 1906 with the two first distinctions for harmony and composition. Based on them he was awarded scholarships in Italy and France, where his teachers were also Maurice Ravel and Camille Saint-Saëns. After his return to Madrid he became a successful author of zarzuelas. After the year 1919 he signed artistic partnership with his ten years younger colleague from the province of Valencia, Juan Vert. Their co-operation remained till Vert’s death. Soutullo outlived him only by a year. One of their common zarzuelas, El último romántico (libretto José Tellaeche), was premiered on March 9th, 1928 in Madrid in Teatro Apolo. There is a romance from the 1st act, by Enriqe Bello enamorada, which radiates with southern, sweet and sour, slightly mulled nostalgic melody. Amadeo Vives (1871-1932), a Catalan music composer, author of more than hundred stage pieces, was the youngest out of fourteen children and only five of them lived to maturity. He disclosed his musical talent in the early childhood. In the 1980s his family moved to Barcelona. Amadeo studied there and soon became a significant personality of the Spanish music in the first third of the 20th century. He composed mainly zarzuelas, but also operas compositions for orchestras and choirs as well as songs. The most famous zarzuela of this composer is Doña Francisquita, which uses the topic of Lope de Vega. Aria Fernanda Por el humo se sabe captures the attention with charming line of cantilena, with folklore inspired melodics and instrumentation. It allows tenor singers to excel in widely in breathing phrases, colourful dynamic spectrum as well as in the crowns of heights. It was in favour with for example Alfredo Kraus, José Carreras or Plácido Domingo. The block of zarzuelas is completed by Intermedio from La boda de Luis Alonso (la boda = wedding) by the Spanish composer, violinist and conductor Gerónimo Giménez (1854-1923). He already played in the orchestra of Teatro Principal in his native Seville at the age of 12, later achieved scholarship thanks to which he could study the violin and composition at the conservatory in Paris. From the year 1855 he was a director of the theatres in Madrid -Teatro Apolo and Teatro de la Zarzuela. His sense for vivid rhythmic and poetic melodic is documented in the intermezzo from zarzuela La boda de Luis Alonso, premiered in 1897 in Madrid. Gerónimo Giménez composed more than hundred of them. We get into the Italian block. Francesco Paolo Tosti (1846-1916), born in Ortony (province of Chieti), the last child from the five of the local salesman, studied in Naples under the composer and reputable tutor Saverio Mercadante. He completed composition and the violin studies in the year 1866. At the beginning he organized and conducted opera performances over holidays on the Adriatic coast from Ortona to Ancona. Then he completed his education in vocal studies in Rome. In the year 1870 he went on a journey to London where, 10 years later he became the vocal tutor (maestro di canto) at the court of Queen Victoria. In this post he remained also during the reign of Eduarda VII. Following his death Francesco Paolo Tosti definitely returned to Italy with which he was always in touch. He settled down in Rome. He is the author of many songs (canzone napoletane), full of sincere cantilena kantilény, southern passion and sun glitter combined by dominating influence of Naples, the city of music with great personalities and inimitable genius loci. The golden age of Neapolitan songs was especially „ottocento“ (19th century) and 20th century to the Second World War. The most significant tenor singers were performing them with open passion. Starting with Enrico Caruso, Benjamin Gigli and Tito Schipo, through Jussi Björling, Giuseppe di Stefano, grand trio Pavarotti – Domingo – Carreras, to the present ones. The song L´alba separa dalla luce l´ombra was created in the year 1907 and belongs to the cycle Quattro canzoni d´Amaranta. It is composed to the text of Gabriele d´Annunzio. With no less effect, even more famous song is Marechiare, composed in the year 1886. The author of the text is the Italian poet, playwright and essayist Salvatore di Giacomo, who enjoyed writing in the Neapolitan dialect. However, both authors of the lyrics are connected with the affections towards starting fascist regime in Italy. Two lovely songs by Tosti will be divided by the romance, which is not less melodically captivating. Ruggero Leoncavallo (1857-1919) composed tens of operas and the same number of operettas, from which only Pagliacci have a stable place in the repertoire of the theatres. While creating for stage he was also pursuing writing songs. The most famous one, Mattinata, was created in the year 1904 and he dedicated it to Enrico Caruso. He as the very first one, with Leoncavallo at the piano, recorded it for the British company The Gramophone Company (later His Master´s Voice) and secured it everlasting popularity. The year 1816 was in the life of Gioachino Rossini (1792-1868) less fruitful then the previous ones. At the age of 24 years he had already creatively scored sixteen operas. The seventeenth one, Il barbiere di Siviglia (originally Almaviva, ossia L´inutile precauzione, in translation Useless Precaution) was premiered in the Roman Teatro Argentina on February 20th, 1816. At the very same year Rossini fulfills the contracts for the cantata Le nozze di Teti, e di Peleo (at the event of the wedding of the Princess Maria Carolina with the Duke di Berry) and opera buffa La gazzetta, but for December already prepares the premiere of the Otello for Neapolitan Teatro del Fondo. Il barbiere di Siviglia finished as a fiasco during the premiere (speculations are that it was under the influence of the fans of the competitive adaptation of the Beaumarchais’ topic by Giovanni Paisiello), but the second performance brought him triumph. And this opera buffa remained at the stages even during the strongest decrease of performing Rossini’s operas. On the one hand, the time shortness but also time customs enabled composer to use part of his own music in the previous opuses. For example, the favorite overture was already heard before the Il barbiere di Siviglia, in two pieces. The first one was Aureliano in Palmira (1813 Milan), the second was Elisabetta regina d´Inghilterra (1815, Naples). Aria Cessa di più resistere, which has not appeared in any of the Slovakian performances of the opera so far is sung by the count Almaviva just before the happy climax. More precisely, after doctor Bartolo finds out that his carefulness was futile and his fight for Rosina is definitely lost. Less than a year later Gioachino Rossini used daring 8 minutes long tenor aria, decorated with fireworks as the final mezzo-soprano rondo of Angelina Non più mesta from the opera La Cenerentola.